Headliners, believe it or not, but EDC Las Vegas, taking place Friday, May 17, through Sunday, May 19, at Las Vegas Motor Speedway, is just around the corner. You’ve got your festival tickets locked in, your Camp EDC arrangements set up, and, of course, your rave outfits on deck. 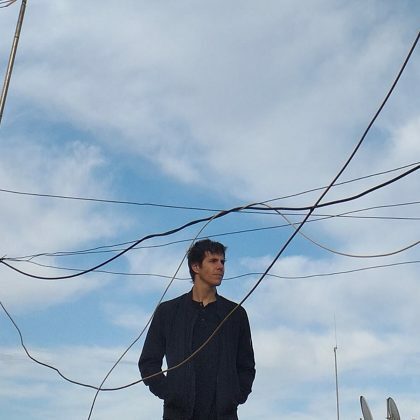 Now all you need is your transportation. 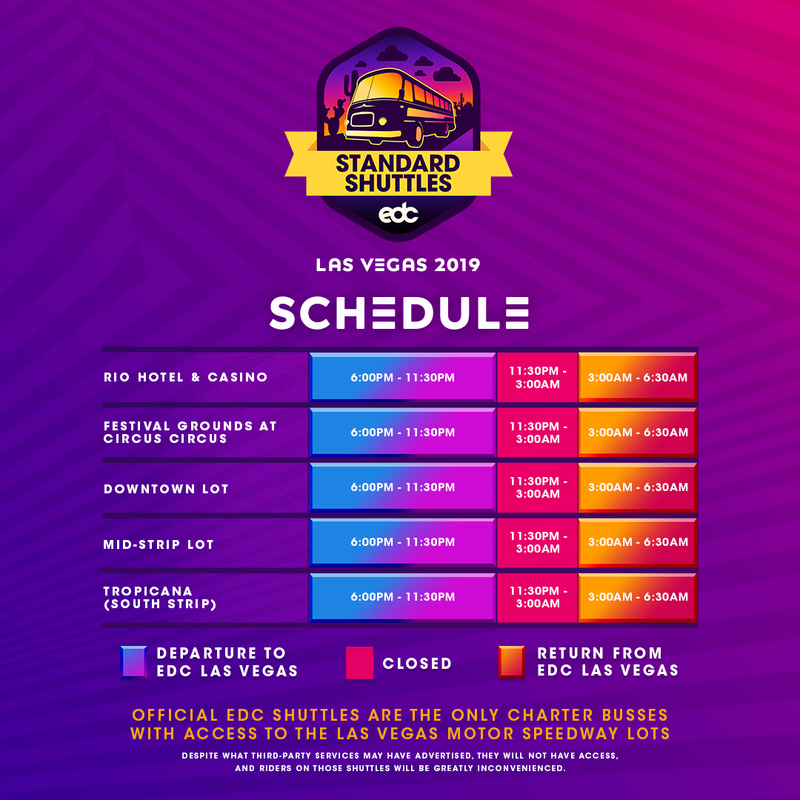 Enter the EDC Las Vegas 2019 shuttles! Featuring Premier and Standard Shuttle services, the official EDC Las Vegas Shuttle program is your best choice to travel to and from the festival with ease, comfort, and convenience. Passes for EDC Las Vegas 2019 Shuttles go on sale Wednesday, February 13, at 10am PT. 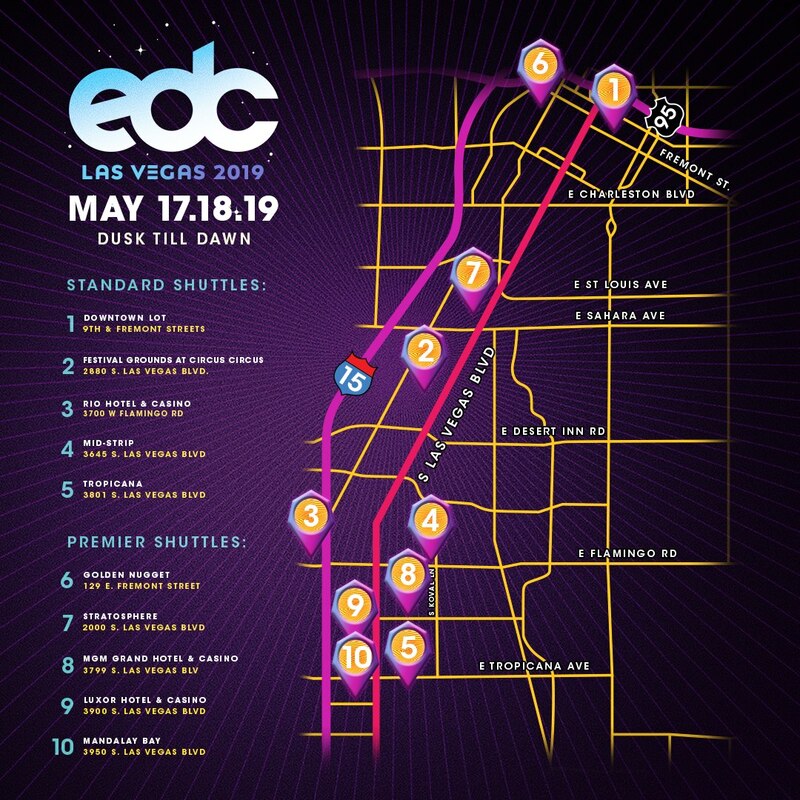 As the only charter bus option providing Headliners access to the festival, EDC Las Vegas 2019 Shuttles offer a number of exclusive features, including multiple shuttle locations throughout the city and new pick-up times. We’ve put together this helpful guide to inform you about this year’s shuttle program. For full details on the EDC Las Vegas Shuttle program, including shuttle stops, schedules, and perks, visit the EDC Las Vegas official website. All shuttle passes include three-day round-trip transportation to and from EDC Las Vegas, with designated pick-up locations throughout the Las Vegas Strip and Downtown Las Vegas. Three-day Standard Shuttle passes begin at $99, plus taxes and fees. Standard Shuttles to the Speedway will run daily from 6:00–11:30pm and return from the festival between 3:00–6:30am. Locations included in the Standard Shuttle package include Rio Hotel & Casino; Festival Grounds at Circus Circus; Downtown; Mid-Strip; and Tropicana (south strip). Three-day Premier Shuttles begin at $199, plus taxes and fees. Premier Shuttles will offer earlier departure times this year, with premier transit to the Speedway beginning at 6pm and additional pick-ups available at 8:30pm and 11pm. Returning charters will run at 3am, 4am, and 6am. 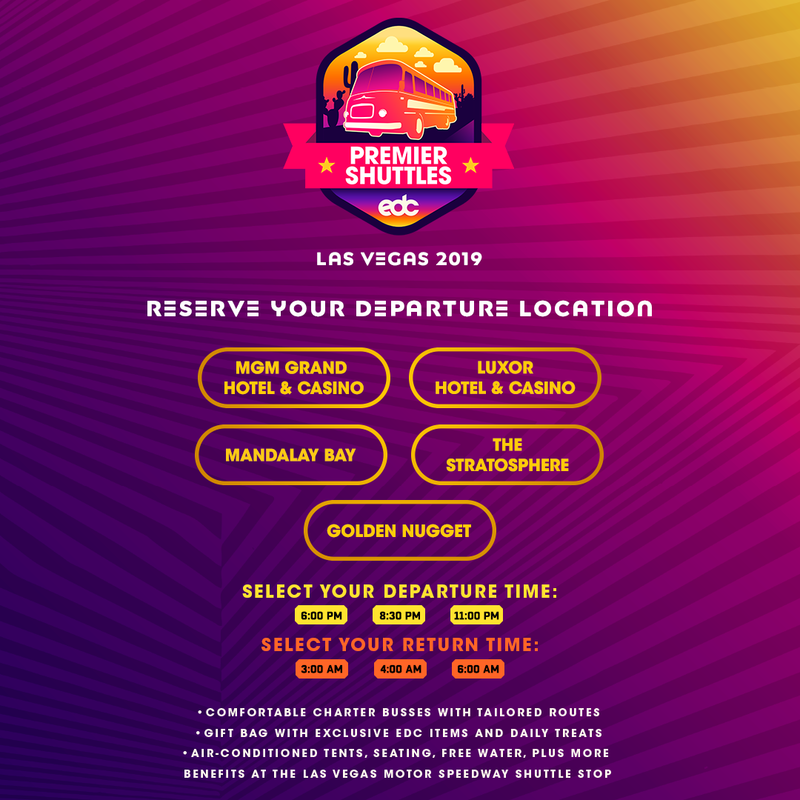 Premier Shuttle riders will receive a variety of perks, including a gift bag with exclusive EDC Las Vegas items and daily treats and access to air-conditioned tents and seating at the Las Vegas Motor Speedway pick-up point. Headliners can select from five shuttle locations, including: Golden Nugget Las Vegas Hotel & Casino; Luxor Hotel & Casino; Mandalay Bay Resort and Casino; MGM Grand Las Vegas Hotel & Casino; and the Stratosphere Hotel and Casino. Headliners looking to attend the Opening Ceremony at the festival on Friday, May 17, can RSVP for Opening Ceremony early shuttles from 3–6pm, which depart from the festival grounds at Circus Circus for an additional cost of $5. Entertainment will begin on the cosmicMEADOW stage at 4pm, with the full festival grounds opening at 7pm. Additional perks for both services include restrooms prior to boarding and security pre-checks to eliminate wait times upon arrival at EDC. On- and off-site guest services teams will be available to help field questions and address concerns. 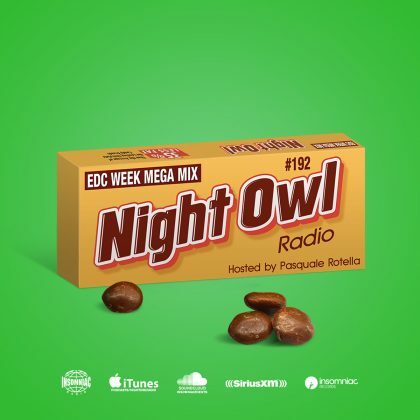 EDC Las Vegas 2019 takes place Friday, May 17, through Sunday, May 19, at Las Vegas Motor Speedway. Tickets are on sale now. EDC Las Vegas is an 18+ event, and you will need to show proper identification to enter the festival. 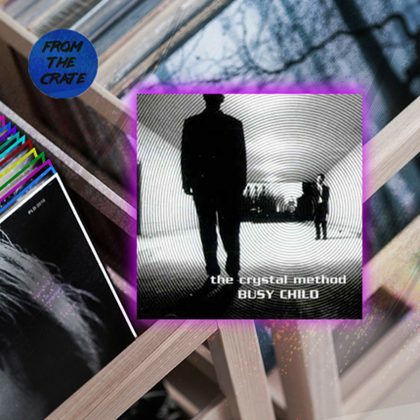 For more information, visit the official website.